The use of modern contraception not only allows couples to plan the number and timing of their children, but also saves lives by avoiding the risks associated with unintended pregnancies. 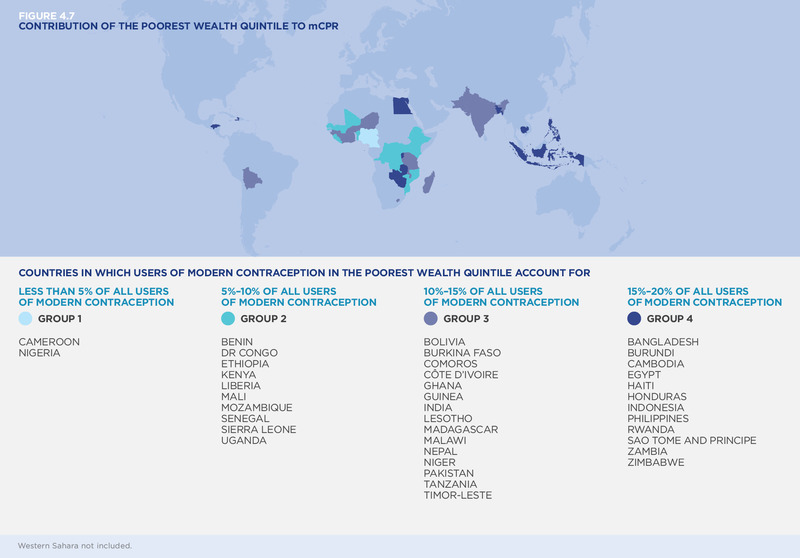 In 2013, across all FP2020 focus countries, the use of modern contraceptives by 274 million women and girls of reproductive age averted 77 million unintended pregnancies, which amounts to 2 million more unintended pregnancies averted compared to 2012. Averting 77 million unintended pregnancies created substantial health impacts by reducing women’s exposure to unsafe abortions and maternal deaths. In 2013, there were 24 million unsafe abortions averted and 125,000 maternal deaths averted (see Figure 4.17).